The Navy’s submarine force is looking to reinvigorate its high-end warfare training and plans to do so by finding efficiencies within the current testing and certification schedules, the commander of submarine forces said. Vice Adm. Joseph Tofalo said at the Naval Submarine League’s annual symposium yesterday that he was taking a hard look at that predeployment schedule to find as much as 10 to 15 days that could instead be devoted to improving high-end skills that would be needed against a peer or near-peer adversary. “The bottom line is, we’re trying to increase the amount of at-sea combat-type experience,” he said. Tofalo made clear that this training would not come at the expense of operational availability or time in the shipyard, nor would he allow it to lengthen deployment schedules. He said attack submarine crews are already “doing double-pumps” in their deployment schedule – they deploy for six months every 18 months, whereas the overall Navy Optimized Fleet Response Plan calls for one seven-month deployment every 36 months – and he said this extra training would not over-burden the sailors and create longer deployments. “I’m not piling anything else on, that’s not the intention,” he said. 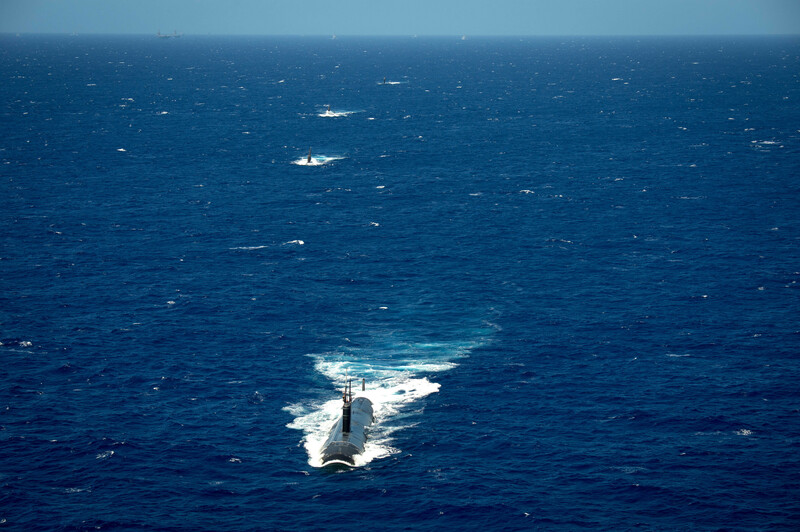 Tofalo also told USNI News afterwards that submarine command courses are now including theater ASW segments, which hasn’t always been the case. “Theater ASW is a team sport, and we need to learn how to plan that team when you’re in a command course,” he said, which allows commanders to learn to incorporate destroyers, P-3 and P-8 maritime reconnaissance aircraft and other fleet assets that contribute to ASW.